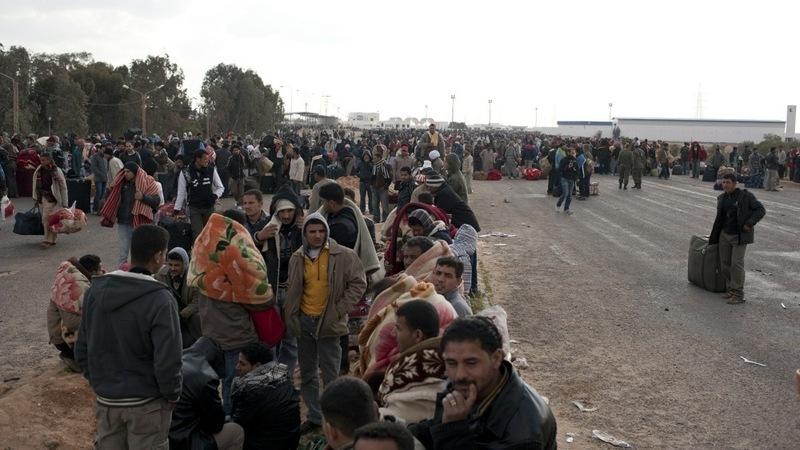 Libyan Refugees Become "Humanitarian Emergency"
Egyptians wait to take buses after fleeing from Libya, on February 27, 2011, near the Tunisian city of Ben Guerdane. The UN's refugee agency estimates 100,000 people escaped Libya over the borders into Egypt and Tunisia, with a heavy flow over the weekend. The New York Times says many are foreign workers with little money and those whose countries didn't evacuate them, such as Bangladesh, Pakistan and Thailand. On Morning Edition, NPR's Lourdes Garcia Navarro looks at the strategic city of Sirt, Moammar Gadhafi's hometown and between Tripoli, held by pro-Gadhafi forces and Benghazi, controlled by rebels. Lourdes talks with a Sirt policeman who escaped imprisonment there after nine days of a "sojourn in hell". NPR's Kelly McEvers tells Morning Edition Friday demonstrations intended as a Iraqi 'Day of Rage' have lengthened into anti-Iraqi government outrage. Many are calling for a "Day of Regret" a week from today. That's the first anniversary of Iraq's national elections. Prime Minister Nouri al-Maliki's government is on edge; he's given his cabinet 100 days to shape up or be fired. Iraqi troops are beating and detaining protesters. The Washington Post notes the Iraqi government is targeting intellectuals. 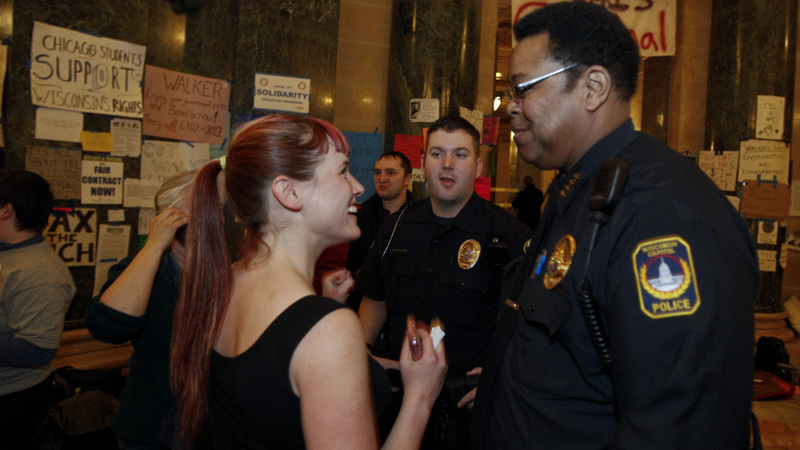 Wisconsin Capitol Police Chief Charles Tubbs, right, talks to a protester at the state Capitol on Sunday, Feb. 27, 2011, after it was announced the demonstrators will stay another night at the Capitol. Wisconsin Capitol Police allowed demonstrators to stay inside the Capitol building after a 4 PM deadline to leave. The Wisconsin Journal Sentinel cites Chief Charles Tubbs who says protesters have acted lawfully and responsibly, so he has no reason to order arrests. The Sentinel says protesters have helped clean the building and arranged for food. Meanwhile, the stalemate between Gov. Walker and Wisconsin senate Democrats continues: Walker says tomorrow's the deadline for the state senate to act on his budget repair bill, while the vanished Democrats say they won't return until Walker agrees to negotiate with them. 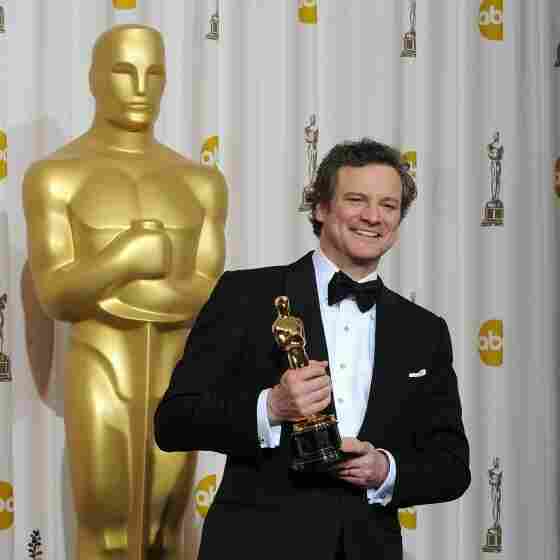 The King's Speech carried off most of the top Oscar honors last night, including Best Picture, Best Director , Best Actor (Colin Firth) and Best Original Screenplay. The full list is here, while Linda Holmes recaps the show for Monkey See, including the f-bomb dropped by Best Supporting Actress winner, Melissa Leo.